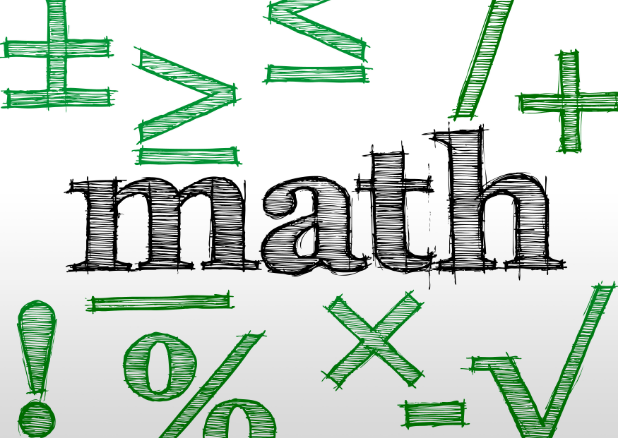 Home Entrance exam Exam UPSC examination: How to prepare for mathematics? UPSC examination: How to prepare for mathematics? Preparing for UPSC exam is a challenging task but choosing a good optional subject increases your chances for qualifying. Mathematics is one such key player. If you have a mathematics background and have interest in that subject, then prefer maths as your optional subject. Maths has always been known as a good scoring subject. For the people who hate mugging, Mathematics is a gift. There is no hit and try involved in it. If you know the formula, you know the answer. Choosing mathematics has its own advantages such as it requires more of application part and zero mugging. Secondly not many UPSC aspirants take up maths as the optional subjects, so there is less competition. Thirdly, the study material is easily available. And lastly, this subject has a limited syllabus unlike other subjects in which current affairs are also involved. Here are few easy tips to get high marks in the exam. During the exam, if you are unable to solve the question in two attempts, leave it. You will not be able to solve that. Focus on other questions. If a problem is taking too much time, then hold on, you may be following a wrong approach to solve it. Practice some good tips and tricks to solve the problems. The more problems you solve, you efficiency will automatically be increased. Try to adopt Vedic Maths techniques. This will help you to solve even the biggest of equations within fractions of seconds. Maths is one such subject where a single silly mistake can deviate you from the actual answer. Be careful of the sign the number is carrying. Practice, practice and practice till you become perfect. Make a chart (or two) of all the formulas and paste them in your study room. Don’t be hesitant in looking through the formula in case you forget. After some practice, the formulas will automatically be memorized by you. Rather than just reading any solution, better take a pen and paper and try solving it. There is a huge difference between solving in mind and solving on paper. Some new topics have been introduced such as Mechanics and Fluid dynamics. Try to understand the concepts in the beginning of your preparation period. After reading all the solved examples, then start off with previous year question papers. This will give you an idea what and how much to study for the prelims. If you are writing short answers then give one or two lines for introduction and then move straight to the point. In case of long answers, give introduction and explain wherever necessary and make a perfect conclusion at the end. Joining test series is an effective way to improve your time management and self evaluation skills. If not daily, then give a mock test at least twice a week for a sound preparation. You cannot solve any mathematics problem if you lack focus or concentration. Keep all the distractions away from you and be cool & relaxed. This way you will not only be able to understand the problem but will also hit the right answer too. Mathematics is the first love of science. If studied and applied properly, mathematics will fetch you good marks and ultimately a good UPSC score.